Stuffing envelopes is a bad idea for a home business because it could end up costing you both time and money. The most common work from home scam, according to U.S. Postal Inspectors, is envelope stuffing. Advertising for this scam promises pay for stuffing envelopes at home in your spare time. Sometimes for as much as $4 per envelope stuffed. Sound easy? Sound too good to be true? It is. The same Postal Inspectors quoted above also pointed out that they’ve never seen any of these promotions pay out the amounts as promised. What company that is trying to make a profit would be able to do so if they pay people $4 to stuff an envelope? Better yet, why would a business pay somebody to stuff envelopes at all when there are machines that can rapidly stuff thousands of envelopes? You respond to the ad telling you that there is lucrative money to be made by stuffing envelopes. Of course, you have to send in your one-time registration fee to get started. When you do this, the scammer has just made a nice profit at your expense. Let’s say that you sent $50. This is how much you have been scammed. If the fee was $500 and you sent it to the person who placed the ad then, you guessed it, you just lost $500. But don’t worry; this scam presents plenty of opportunities for you to lose even more money. After sending your money, the scammer will send you your information to get started at stuffing envelopes for money. This material will consist of a letter telling you to send the same ad that you answered to other people, or place a similar ad in various publications (this is not cheap to do!). When you mail off the Get Paid to Stuff Envelopes offer to somebody else, you have stuffed your envelope. If the victim that you are now unwittingly trying to scam answers the ad and sends the scammer his/her $50, you will get your payment of a few dollars for stuffing the envelope. Do you really want in on this deal? Keep in mind that even if you decided that you wanted to engage in this form of multi-level scamming, you will have a hard road ahead of you. 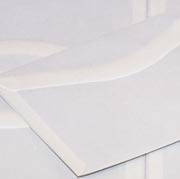 You will be spending money to advertise the envelope stuffing and will get (we hope) a very, very low response rate. This is a work-at-home business that just does not work. Avoid it at all cost! You’re stuffing envelopes – You would think that everyone knows about this scam by know but there’s a new victim of this scheme born every day. You received an offer via email – If someone emails you out of the blue about exciting business opportunities you are better off deleting the offer. Chances are slim to nil that this is something you want to get involved in. What is almost guaranteed is that if you answer this email someone is going to try and swindle you. You make money by signing up more envelope stuffers – When a business’s income is based on signing up more people so that they can sign up more people and there is no real product being sold it is a pyramid scheme. That’s the bottom line no matter how many pages of information you are given or how many layers of deception are involved. If you strip all the misdirection away and all that’s left are levels of membership you are looking at a pyramid or Ponzi scheme. Guarantees of high income – No one can promise that a business can succeed. If someone claims that a business is foolproof and cannot fail then you should just walk away. It’s a lot easier to make a promise like that than it is to honor it. There are enough genuine home business opportunities out there for you to try that you don’t need empty promises that can’t be kept.